Every year for my birthday I always visit the Toronto Zoo. It’s a tradition and always memorable. To be honest, I’ve been visiting the Toronto Zoo and it’s amazing animals for over 30 years, 35 to be exact! I’ve grown up watching many of them grow and mature and have babies of their own. And some, like Charles the male silverback gorilla, Josephine a female gorilla (and probably the Zoo’s oldest resident), and Puppe the female Sumatran orangutan hold a special place in my heart. All of which have been at the zoo since it opened in 1974. But over the past year the Toronto Zoo has seen a new generation. Over the past year, the Toronto Zoo has had a considerable influx of new babies, many of which quite notable. 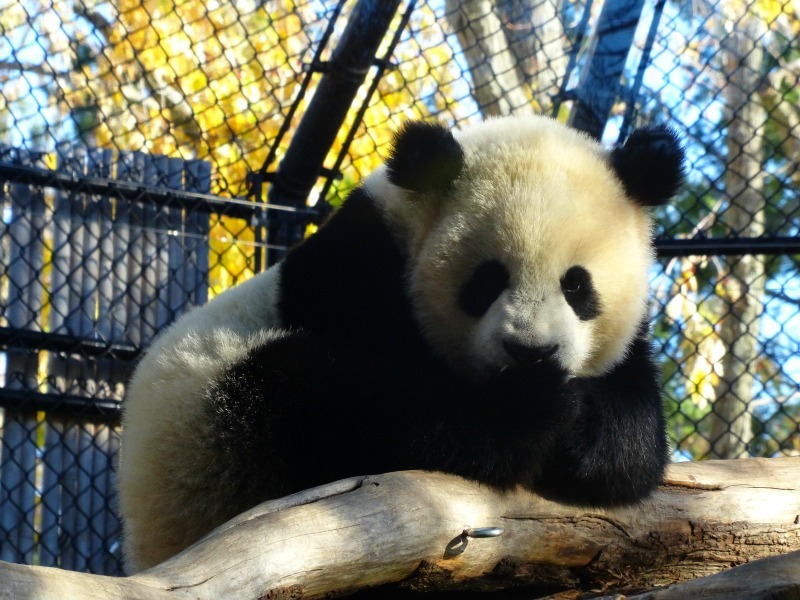 From Canada’s first giant panda cubs born last fall to a bouncing baby Indian rhino earlier this year, it’s a great time to visit the Toronto Zoo and its babies! 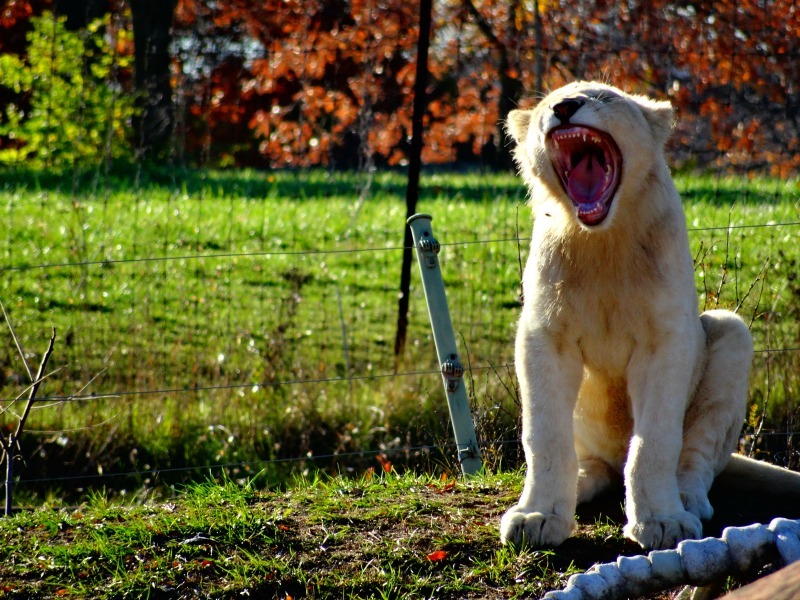 September of 2015 four male white lion cubs were born at the Toronto Zoo. Now, these adorable, and at times rambunctious cubs are a year old. Their names are Gus, Hank, Harrison and Oliver. It was incredible to see them, some with the beginnings of their adult mane growing in. They even put on a show for us, sneaking up on their brothers and parents too! Did you know that lion cubs are born with spots, called rosettes, like a leopard, but they fade as the cub gets older? 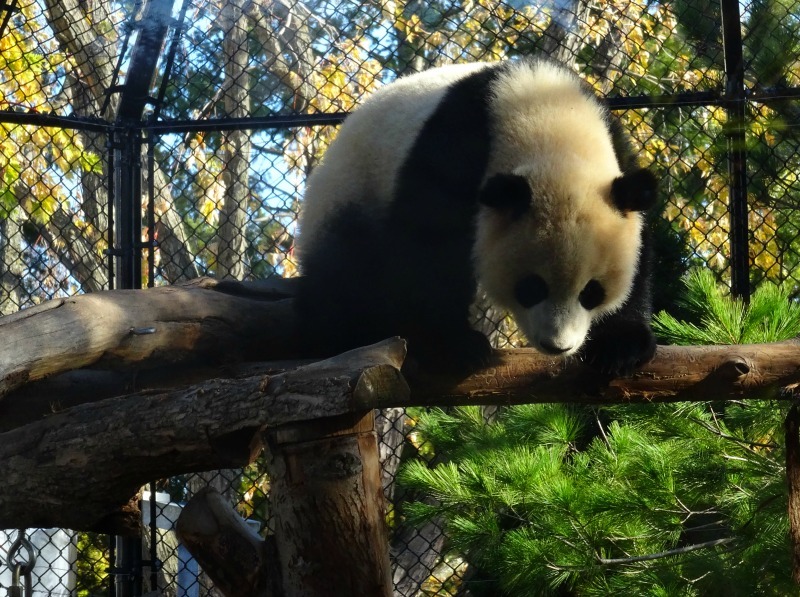 October of 2015 saw a huge milestone for not only the Toronto Zoo, but Canada. We welcomed the first giant panda cubs to be born in Canada, at the Toronto Zoo. And not one, but two, TWINS! A male, Jia Panpan (meaning Canadian Hope), and a female, Jia Yueyue (meaning Canadian Joy) have now grown into the sweetest, fluffiest and most adorable giant panda cubs. They’re now a year old and can be seen on display with their mother Er Shun. Romping around outdoors, testing their balance and strength as they climb, and tumble. But don’t forget to stop by their pops, Da Mao – in my opinion THE cutest Giant Panda EVER! He’s so playful, often rolling down the hill in his enclosure, and in the winter seemingly playing in the snow like a child. Did you know that giant panda females are only able to breed once a year, during a very short period of 24 to 72 hours? And when cubs are born they are 1/900th the size of their mothers, weighing from 0.08 to 0.2 kilograms. 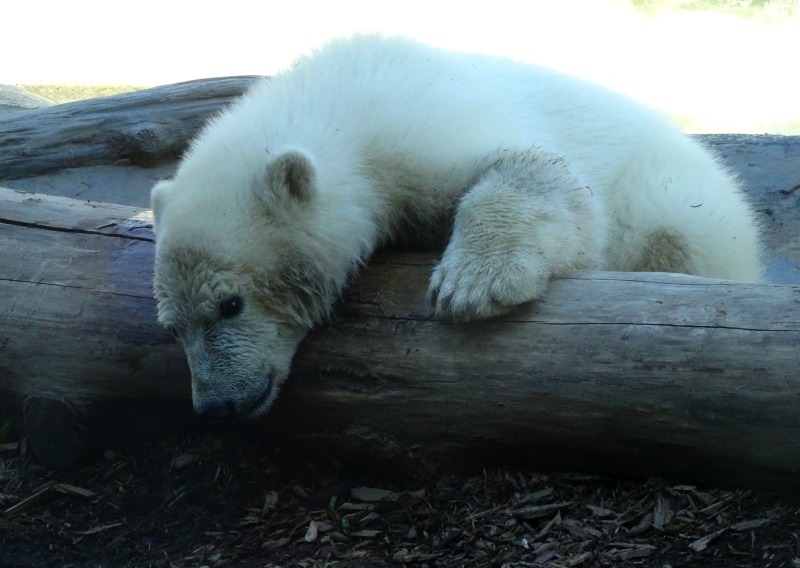 On Remembrance Day of 2015 the Toronto Zoo added a new special baby with the birth of a female polar bear cub. The cub was named Juno, in honor of Remembrance Day and Juno Beach. And now, at a year old, he’s even been ‘adopted’ into the Canadian Army, and is ranked as an Honorary Corporal. We Canadians love our polar bears! 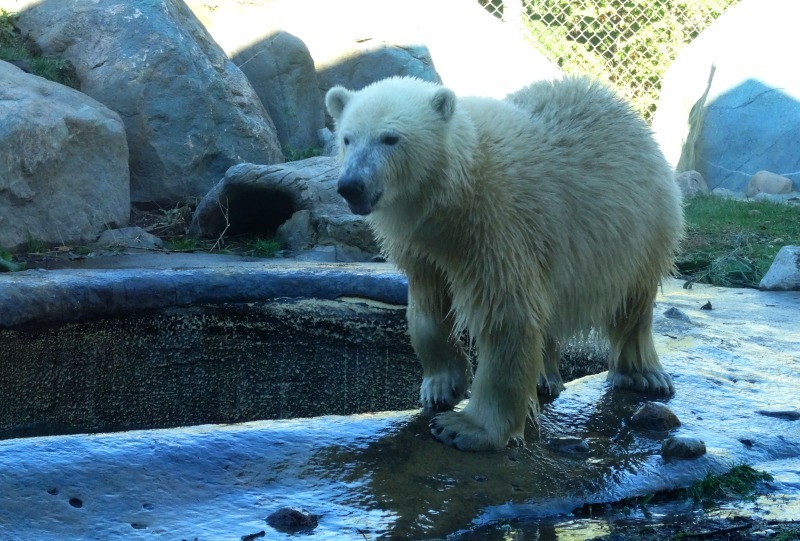 He’s extremely playful and inquisitive, as he dives head first into his small pool and sits in his black tub, and is even getting to try out the big adult polar bear pool! Did you know that polar bears are the largest land mammal in the world? And yet at birth they only weigh 0.5 kilograms. 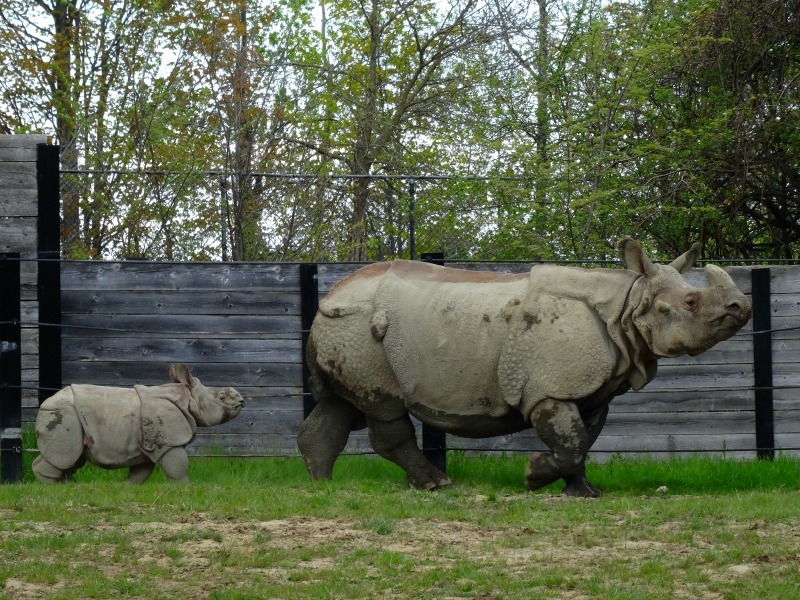 In February of this year (2016) a new baby male Indian rhino calf was born at the Toronto Zoo. His name is Nandu, meaning ‘one who is cheerful and happy’, and boy does his name ever suit him. I’ve had the opportunity to see him twice since he was born, once in May at 3 months old, and again in November at 9 months old. And both times he was frolicking around their outdoor yard, either running behind mom, or checking out the different things in his exhibit. And he’s also the largest of Toronto Zoo’s babies, probably weighing over 1000 pounds by now! 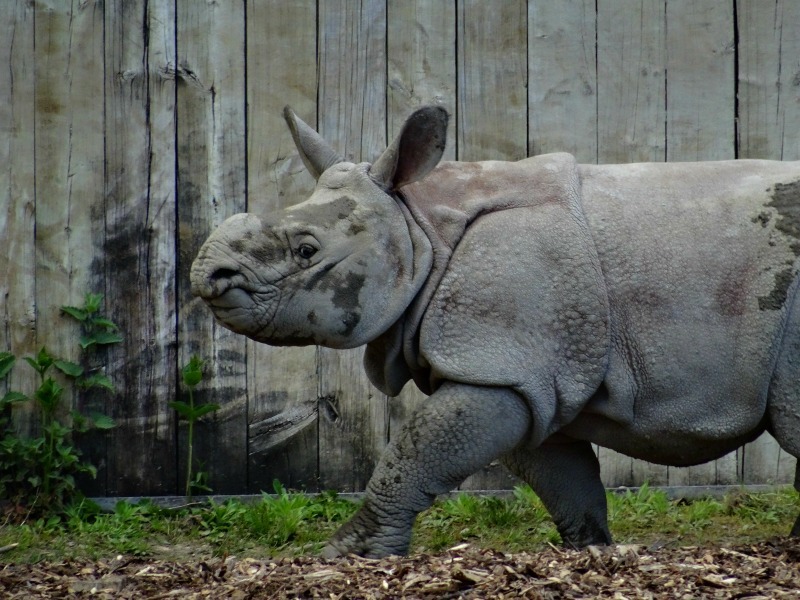 Did you know that Indian rhino’s have a gestation period of 16 months? 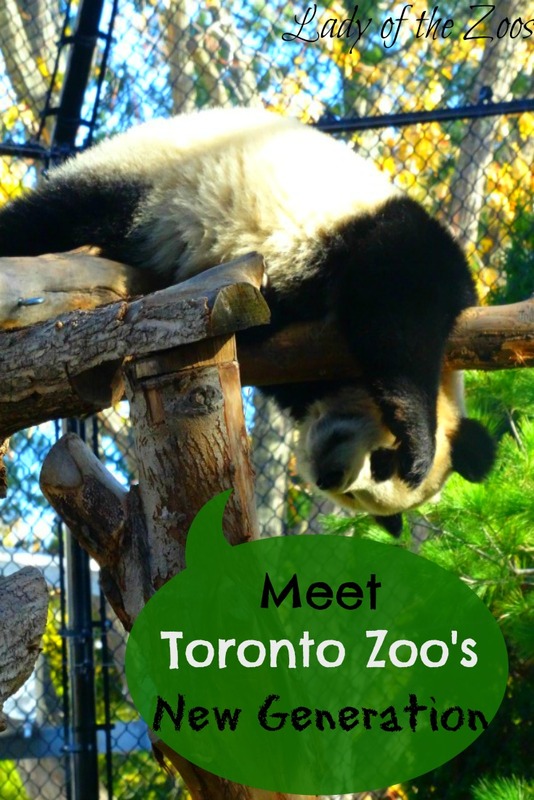 If you haven’t been to the Toronto Zoo yet this year, than I encourage you to visit now! But it’s winter, you say. The Toronto Zoo is open 364 days a year, and only closed on Christmas Day. 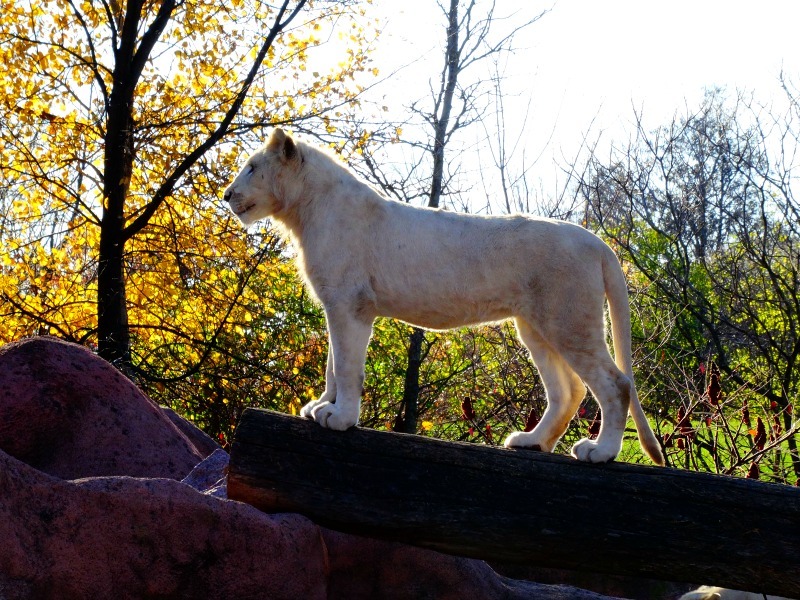 The fall and winter is a fabulous time to visit the zoo. There are less crowds, many of the animals are more active in the cooler temperatures and you can still warm up in the five different pavilions. Have you met any of the Toronto Zoo’s babies yet? They won’t be small forever! WOW, SO AMAZING! haha. I love animals, specially is panda. They’re so cute. Thanks so much! I love pandas too! !